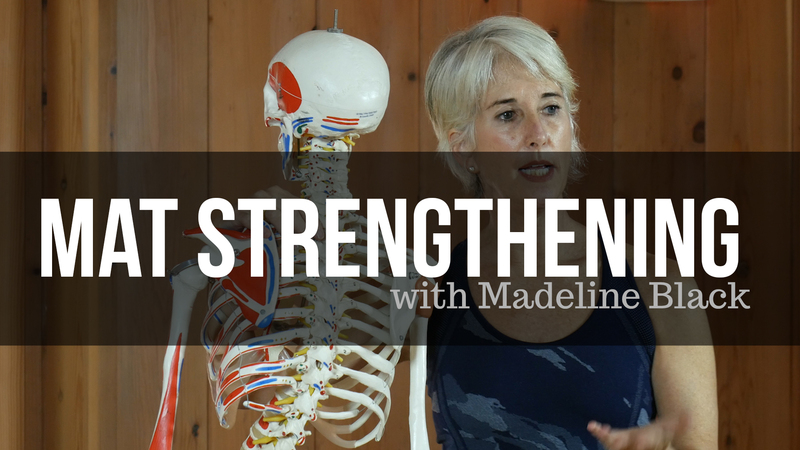 Learn whole body support with optimal alignment reinforced and created by gravity that creates freedom of movement. 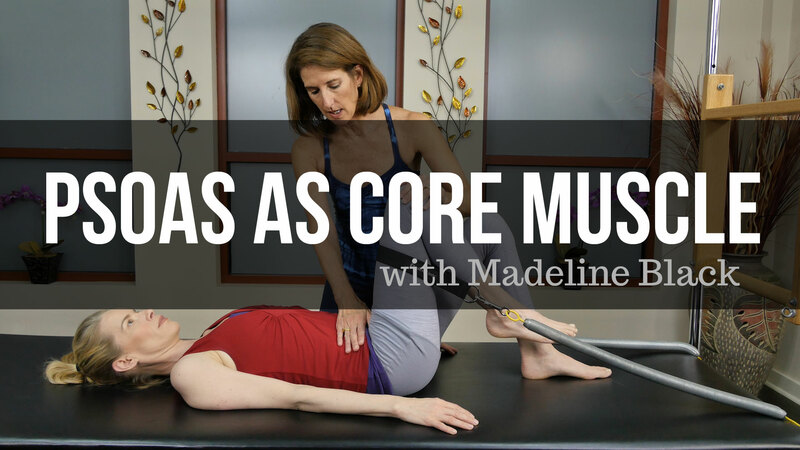 Madeline will teach how to find the psoas, release and recruit it, and see how it affects the spinal alignment. 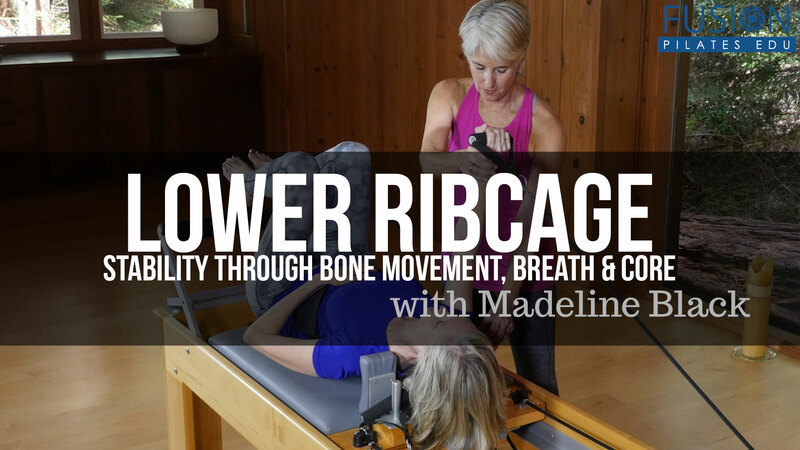 Madeline Black offers this online Pilates workshop to explore the rib cage and surrounding tissues and their effect on posture, movement and function. 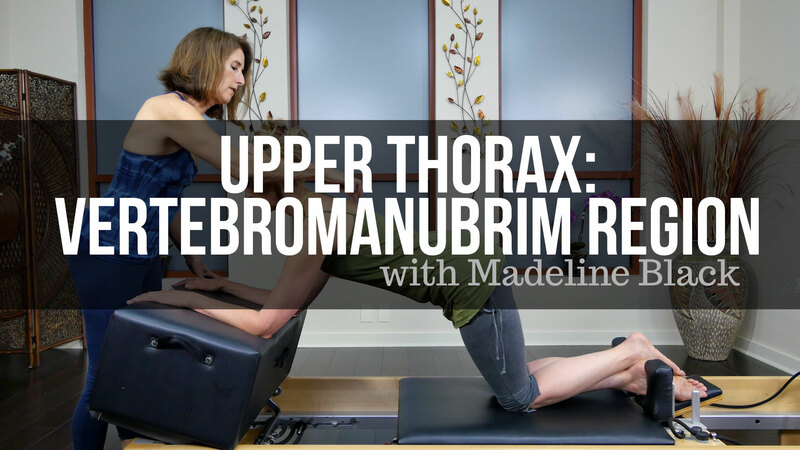 Madeline Black will guide you through the intricate relationship of the 1st- 2nd ribs, sternum with the cervical spine, shoulder mechanics and overall posture. 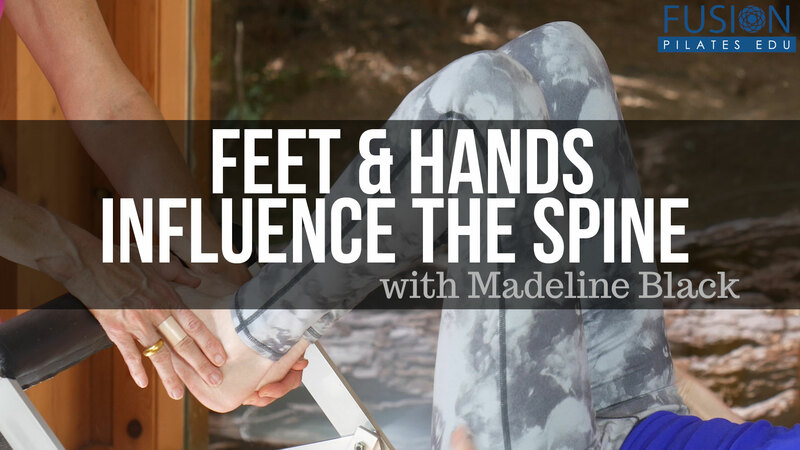 In this online Pilates workshop Madeline Black shows how the feet and hands influence the spine. 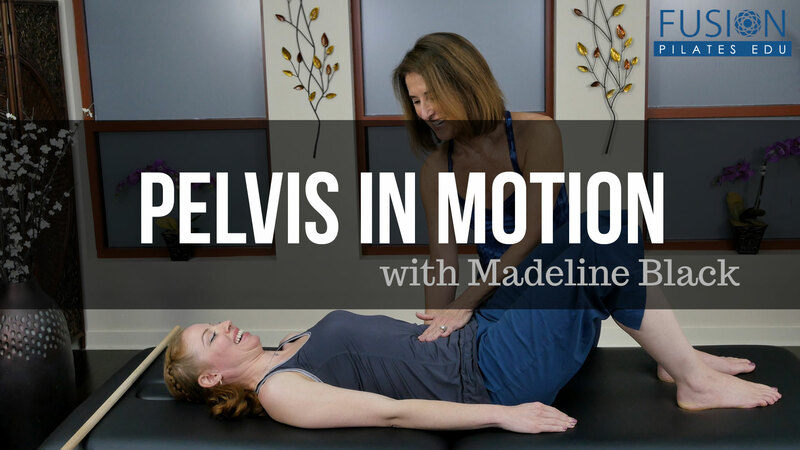 Madeline Black covers information and exercises focusing on the Pelvis. I really appreciated the references & visuals with the skeleton/split screen visuals. I found the class very informative and expect it will be very useful in my teaching! Thank you! Thank you very much for the detailed instruction on how to functionally move through the exercises backed up with anatomical awareness and education. The details of what to look for and how these exercises can be used collectively are essential. This workshop has so much helpful information! Great presentation and explanation from Madeline as always. As always, I loved Madeline's workshop. The progression of the workshop is logical and build upon each segment in a meaningful way. I'm a very visual learner so I really appreciate her use of different tools/examples to clarify her explanations. She starts with a straightforward biomechanical explanation then translates that onto a body. Her hands on tactical cueing is very helpful to guide us, and her selection of exercises really hits home and brings all the concepts together very nicely. Camera angles/closeups are very well maneuvered to give us a closer and clearer picture when needed. Thanks for a fantastic workshop! I really enjoyed this workshop and appreciated how the material was broken down. I was also very grateful for the different camera angles. Well put together and organized workshop! I particularly enjoyed the anatomy discussion with practical applications. Very clear and concise. Perfect! 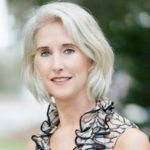 Great information that I can use on all of my clients! Madeline is a great teacher. Her cues and detail of each movement is very instructive. I'm also appreciative for the provision of bibliography for this workshop. Thank you!